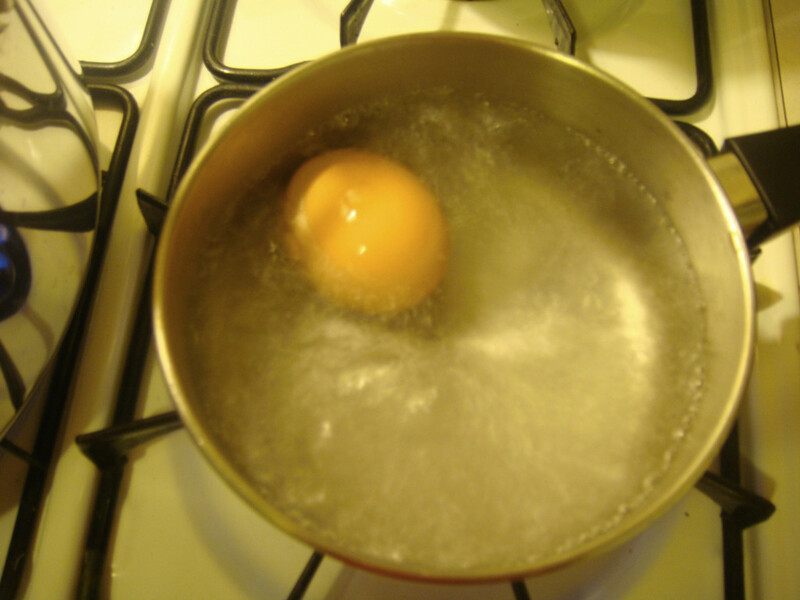 Boil the egg for one minute to kill any germs. 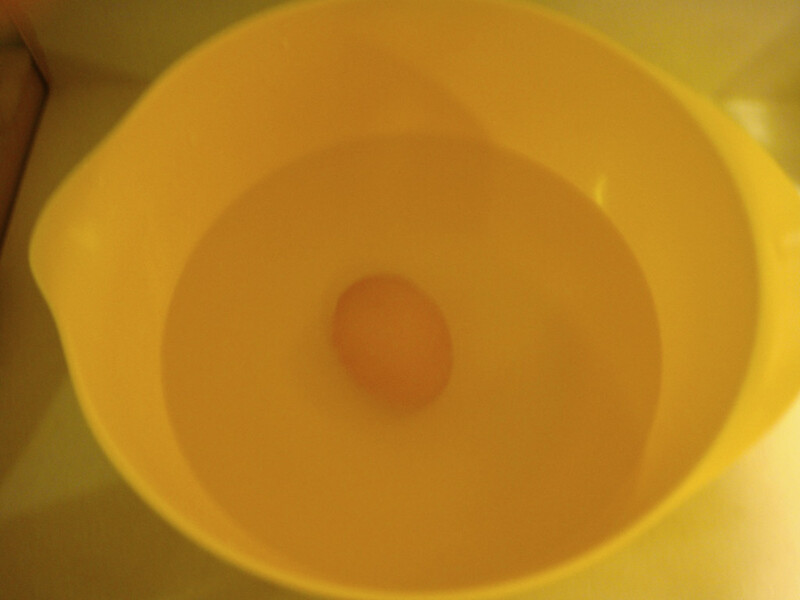 Submerge in a bowl of cold water to stop cooking. 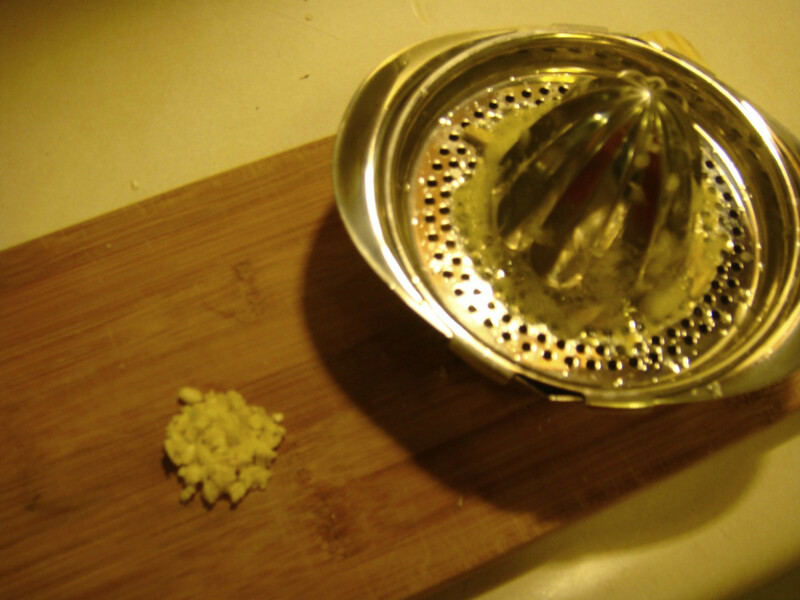 Juice the lemon and mince the garlic. 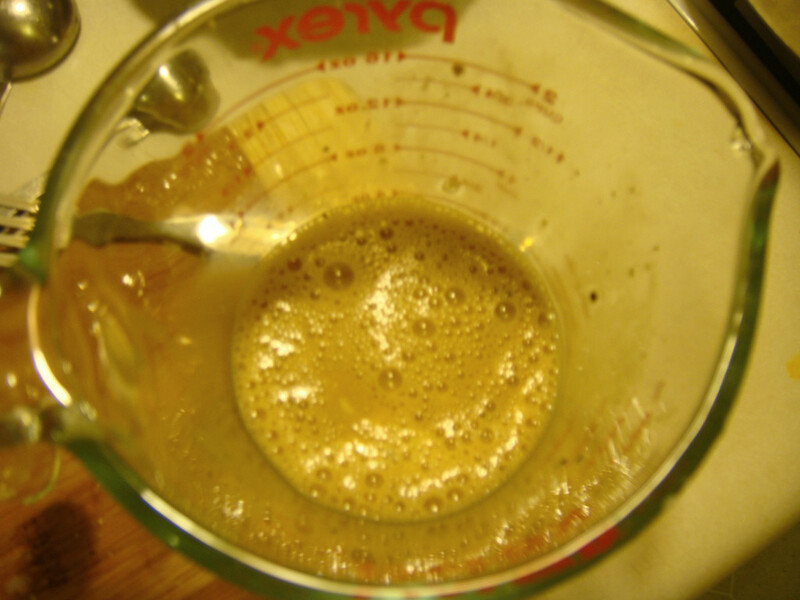 Combine the garlic, lemon juice, Worcestershire sauce, egg and pepper in a measuring cup. Whisk well to combine. 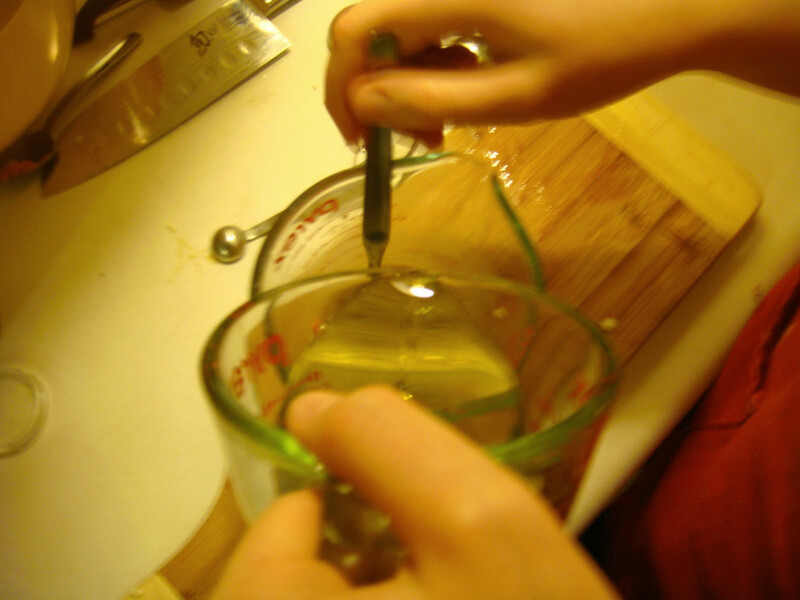 While whisking, slowly pour in oil. (Sorry for the blurriness there.) 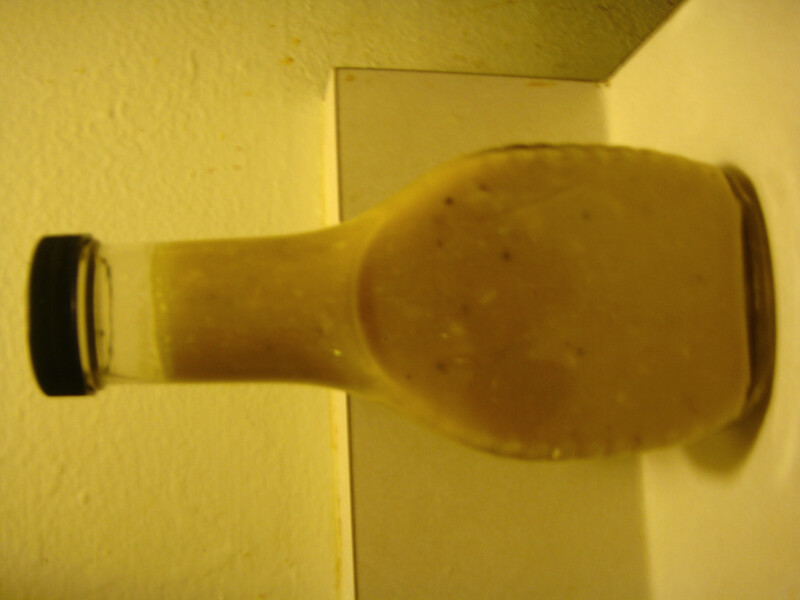 Pour the dressing into a glass jar, or even better an old salad dressing bottle. I had an old salad dressing bottle so I reused it for this purpose. Enjoy! 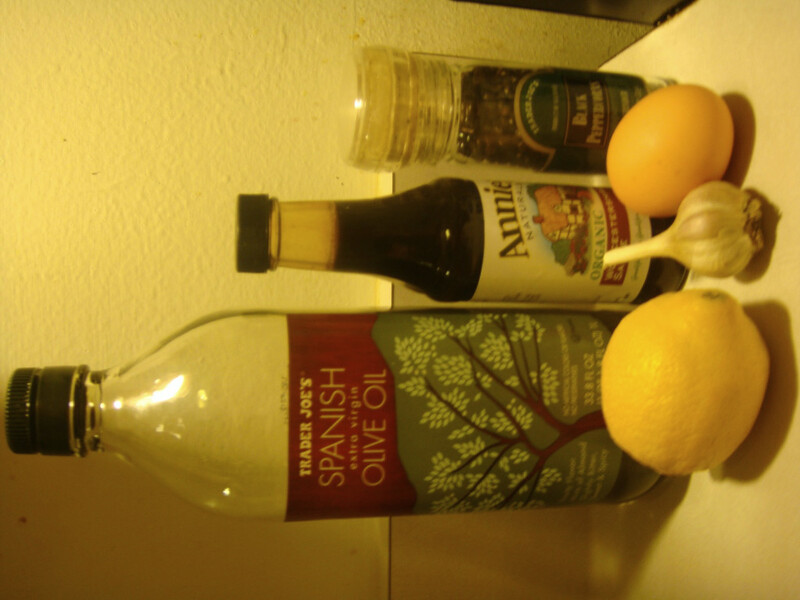 I like to use this dressing on cesar salad. I sprinkle grated pecorino romano on top and some homemade croutons.